At 52-years old, Rosita Standrige was going to be homeless at midnight. Rosita was uninsured and on the brink of eviction with little family support. Rosita was released from prison just 3 months prior after serving a thirteen-year sentence and was approaching the last day of her housing stipend. 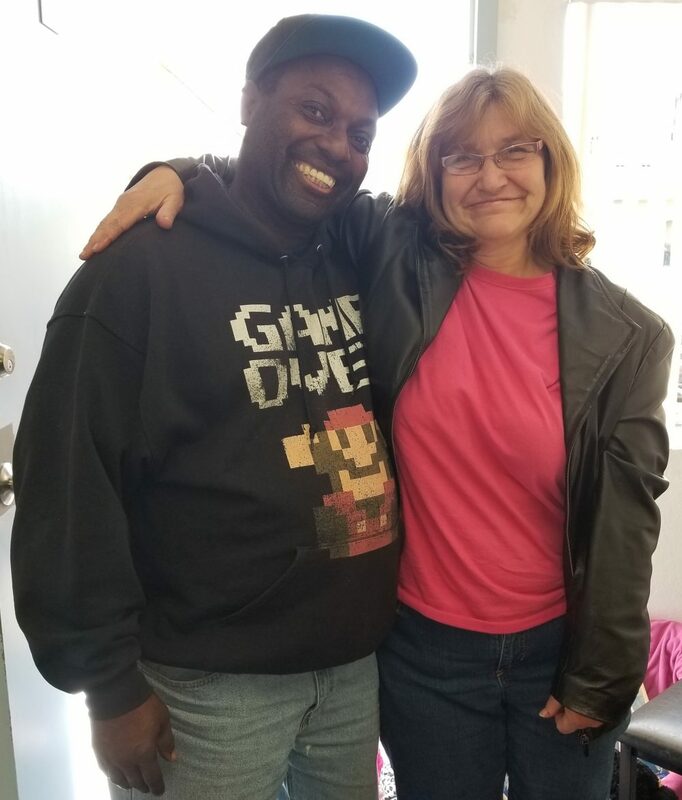 By the guidance of her parole officer, she was referred to the HealthyMeasures Initiative at Roots Community Health Center in Oakland, California. Located in the heart of East Oakland, Roots has become an anchor to the community, transforming lives through a host of stabilizing and empowering services, delivered in the context of the primary care medical home. Health Navigator Jackie Andrews warmly welcomed Rosita to Roots. Jackie conducted the Roots intake assessment that includes evaluating social determinants of health and co-creating an action plan with Rosita. Rosita was assigned to a personal physician and maintained her coaching visits with Jackie over the course of a year. Roots Health Navigators have lived experience of incarceration and are trained as Health Coaches and Community Health Outreach Workers. Peer Case Management. Individualized plans for achieving “whole health” include: benefits enrollment, health education, Prop 47 and other record-clearing remedies, driver’s license assistance, housing referrals, and support with probation. Primary Care. Treatment of chronic health conditions are addressed with a personal physician. Employment Assistance. Light manufacturing training through Roots social enterprise, Clean360, and linkage to long-term employment. Roots Community Health Center’s HealthyMeasures Initiative helps healthy and successful reentry for formerly incarcerated individuals with chronic illnesses. “I feel good knowing that the work I do is empowering my community, and changing lives,” Jackie Andrews.